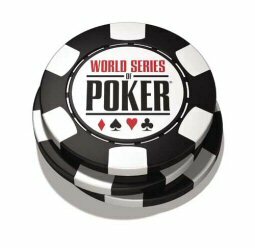 Every year during the World Series of Poker, a couple of famous figures in the world of poker are inducted into the World Series of Poker Hall of Fame. In any sport one of the biggest goals a player has is to get into the Hall of Fame for their respected sport so they may get the acknowledgement of being one of the greatest contributors to the sport. Well this year belongs a couple of big contributors. The well known Dewey Tomko and the not so well known Henry Orenstein. We first introduce Dewey Tomko into the 2008 class. Tomko was a brilliant poker player who was skilled enough to win himself three fo the coveted World Series of Poker bracelets. One thing that people do not know about Tomko is that twice he was runner up in the World Series of Poker Main event, once in 1996 and the last in 2001. If it wasn’t hard enough on him to be runner up twice at the Main Event, he also added a second place finish during the 2003 World Poker Tour Five Diamond Classic. Even though Dewey Tomko never won a couple of the biggest tournaments in the world, he still is one of the worlds best and deserves to be inducted into the World Series of Poker Hall of Fame. The second player to be introduced is not known for what he did on the poker table, but instead for what he was able to give the poker table. The person I am referring to is Henry Orenstein and without him watching poker on television would most likely not be what it is today without Orenstein. That is right without Orenstein people would not be able to see players hole cards before they are flipped over at the end of a hand, because Orenstein is the inventor of the hole card cam. So without Orensteins invention poker probably would not be as popular and widespread as it is today. MacPokerOnline would like to send a warm congrats to both Dewey Tomko and Henry Orenstein. You both have brought greatness to the game of poker and both very much deserve to be inducted.